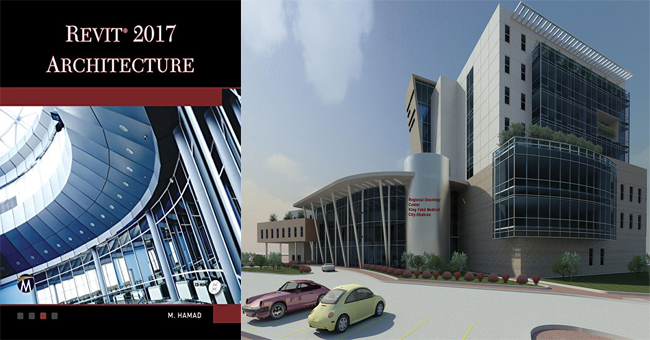 Munir Hamad, the technical person in Al-Manahel who sell, support, and train on Autodesk products such as AutoCAD, AutoCAD LT, Autdesk Revit Architecture, Autdesk Revit Structure, and Autdesk Revit MEP, has recently published an exclusive e-book alias REVIT 2017 Architecture. The book is available in Kindle format. The book contains 785 pages and is written in English language. The book highlights all the crucial methods as well as applies both metric and imperial units to explain the immeasurable drawing and editing tools for Revit. One can learn how to apply the associate files for arranging the drawing exercises and projects. There are more than 50 mini-workshops in this book which can be very useful for finishing small projects from conceptual phase to actual plotting. By resolving all of these workshops, one can sharpen his knowledge on Revit Architecture from starting to finishing, devoid of ignoring any of the fundamental commands and functions. The book is specifically designed for newbie users of Revit 2017 Architecture. Perfectly suitable for “teach yourself” or instructor-led Revit training. Not necessary to have any prior CAD experience. Applies both English and metric units in illustrations, exercises, projects, and descriptions. The book catalogues more than 50 “mini-workshops” and numerous figures which can be used to finish any small project efficiently. The book can be used as a good reference book for preparing yourself for the Revit Architecture Certified Professional exam. Given exercises and projects can be applied as a textbook.